02/06/2019 – Owasso Senior Hannah Cain accepts scholarship, and officially commits to NEO’s Equestrian and Horse judging team this weekend while competing. Hannah competed this weekend at NEO during the Interscholastic Equestrian Association Zone 7 Western Regional Championships. 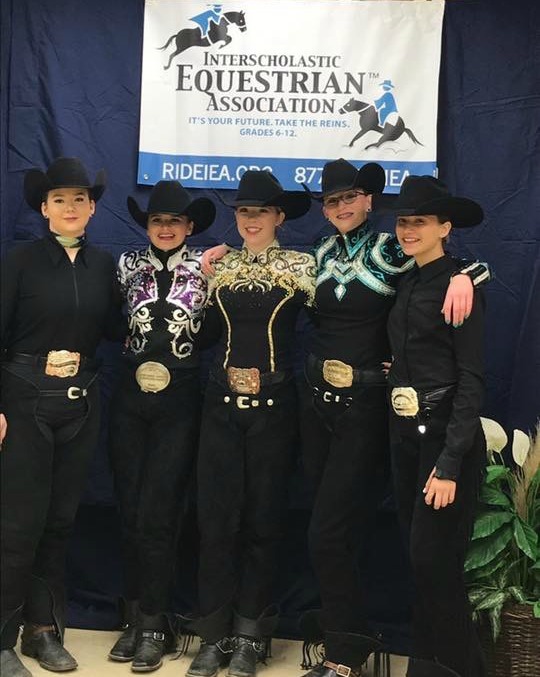 Hanna qualified individually, and as a team, winning reserve champion in Varsity Intermediate Individual reining and third in varsity intermediate individual horsemanship. She also won First Place with her team in both Varsity Intermediate Reining and Horsemanship. They will now travel to Murfreesboro Tennessee in April and represent Zone 7 at the Semi-Finals.